February 23, 2017 – Newburyport, Massachusetts - UFP Technologies, a producer of custom-engineered components, specialty packaging, and products, has expanded its FlexShield® product line to include sterile barrier integrity protection for virtually any medical device. 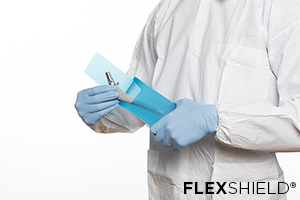 FlexShield is made from flexible, medical-grade thermoplastic polyurethane (TPU) films that are USP Class VI certified, biocompatible, and FDA approved. It was introduced in 2013 and has since been designed into numerous packaging and component configurations for some of the world’s top orthopedic implant and medical device companies. 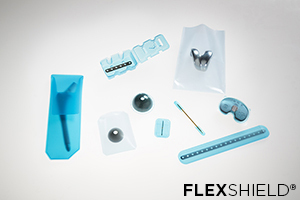 FlexShield’s durability and flexibility provides puncture and abrasion resistance, making it ideal for protecting a range of medical devices and implants such as fixation plates, hip stems, surgical screws, trocars, and surgical saw blades. FlexShield® is a registered trademark of UFP Technologies, Inc.